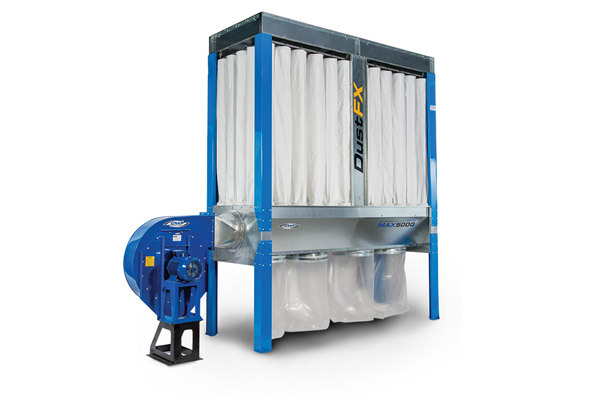 The QuietAir Max 5000 is manufactured by DustFX in Italy to be the highest quality, best performing Industrial dust collection system available today. 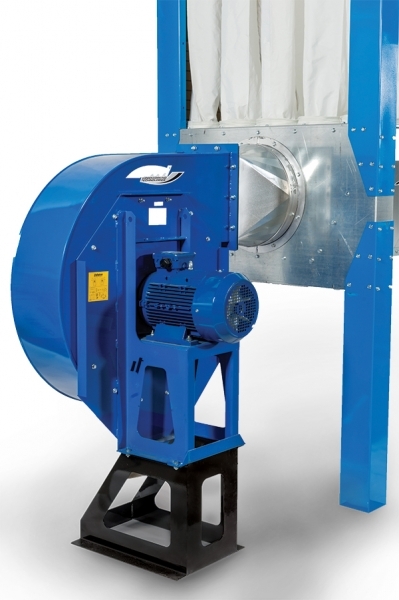 Built to our specifications, it features a heavy steel impeller, special blower housing, high performance filter media and advanced electrical system for extreme woodworking dust collection performance. 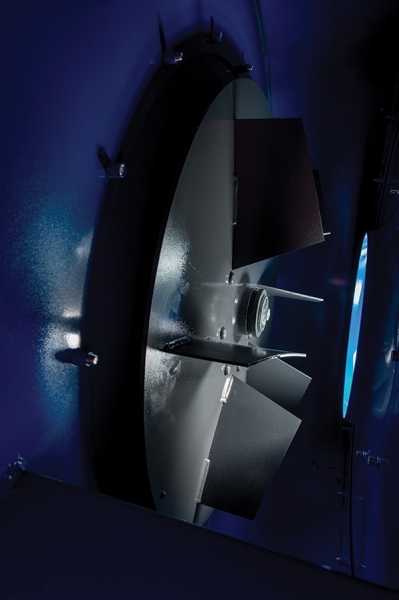 Our special impeller design combined with a slow turning 1750 RPM 10 hp 3-phase motor creates a very high volume of air movement at 4950 CFM. At the same time we are able to keep an low noise level of 78db for the quietest of workshops. 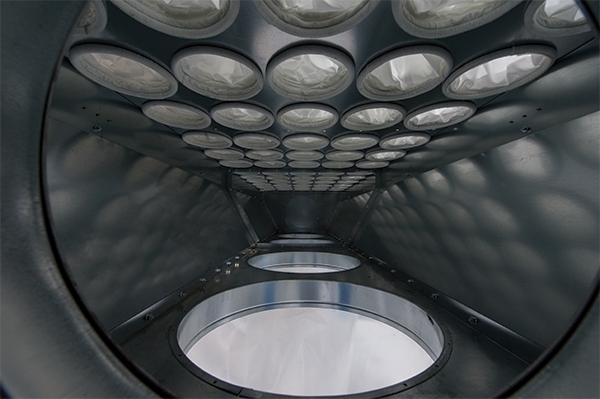 There are 60 stainless steel reinforced polyester dust sleeves providing 860 square feet of filtering surface area. 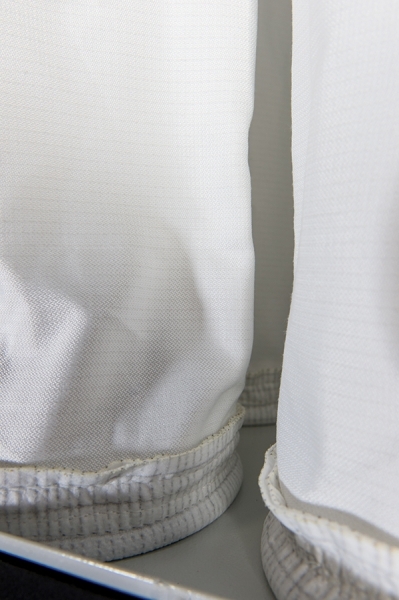 This extra capacity filtering surface, combined with the quality of our dust sleeves allows very efficient movement of air. 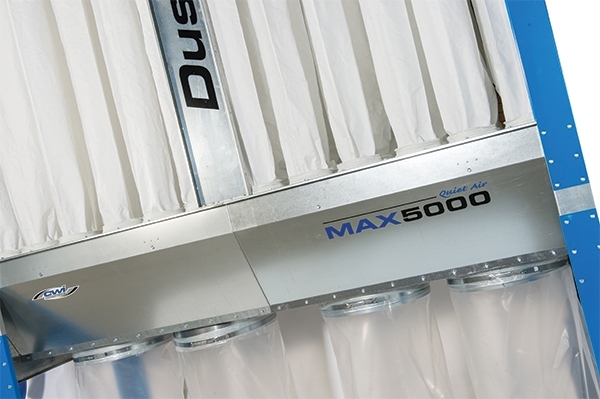 To aid in efficiency we have a built-in electric shaker system with dual motors to clean the bags. The motors are activated each time the main power to the collector is turned off or manually by the switch on the electrical panel. 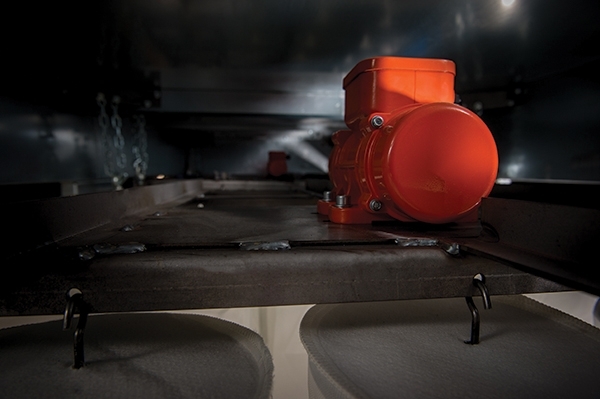 The blower unit can be mounted at either end of the bag house to allow ease of pipe installation placement in any workshop. 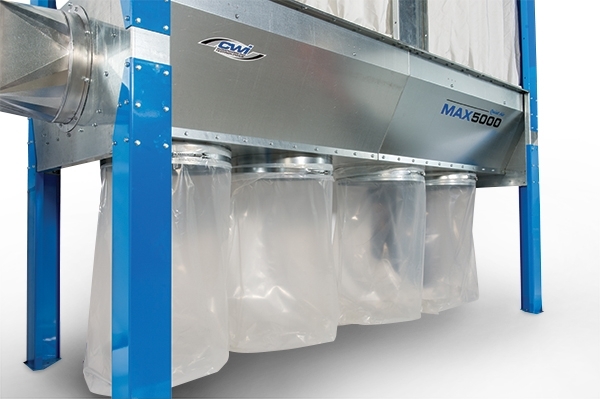 The Max series can optionally be completely enclosed in galvanized steel for use in outdoor applications. 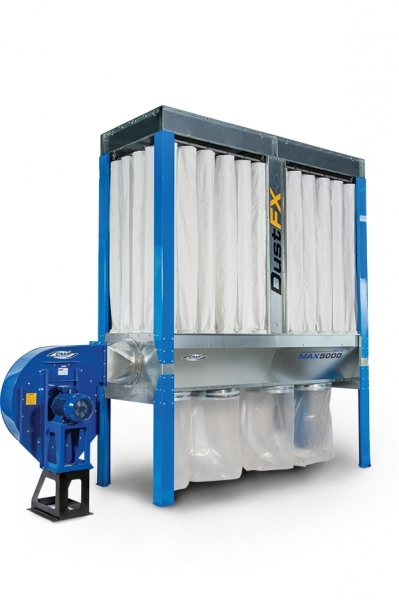 This option would include galvanized steel dust collection drums. 50 gallon galvanized steel “collector bins” on wheels with easy to dump handles and a window so users know when dumping is needed. Browse the product archive. Type: Dust Collection. Brand: Dust FX. Bookmark the permalink.